Ship building is the name of the game. Actually, StarMade is the name of the game. …and now I am ashamed of my ships. 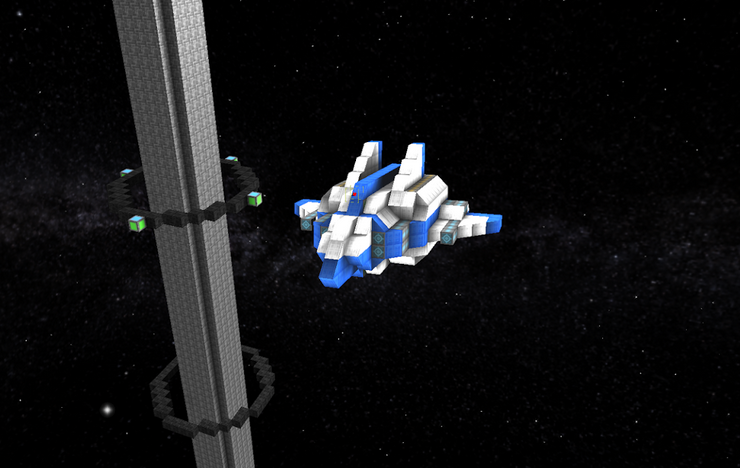 These are the ultimate StarMade fighters. Each of the ships featured in this post has earned their place! First of all, let’s identify the Fighter to know what ships are qualified to belong to this class. Fighters are light ships that are easy to maneuver and light on the budget. These ships are perfect for starters who want to blow up enemy ships by tearing them down one ship at a time. To establish our own standard definition: Any ship with a mass of 200 or below will be considered a Fighter regardless of their shield strength, maximum thrust, size, and other factors. Disclaimer: The ships on this list are not ranked in any way and are sorted alphabetically. We do not own nor did we make these ships. All credits go to the individuals who created them. As the name implies, the Desick Bomber is a heavy fighter designed to smash enemies straight ahead by using its heavy firepower. 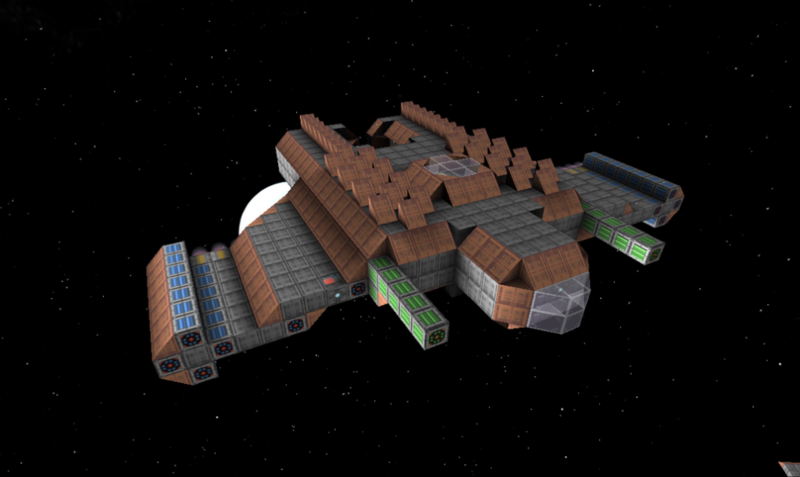 This ship has a mass of 128.5 and was designed and submitted by user Dequire a couple of months ago. Albeit a little bulkier than your standard fighter, the Desick Bomber has a huge shield capacity for its size so it is better able to shrug off blasts from enemy turrets. Along with its high hull points and impressive overall defense capabilities, this ship features a powerful twin tracking missile launchers and 12 terrifying dumbshot missiles that are designed to shatter enemies’ hull when the shields are down. On a fleet, Desick Bombers act as damage support, waiting for the enemies’ defenses to go down and then swoop in for the kill. Hermes is a cool-looking fighter with balanced stats and capabilities. 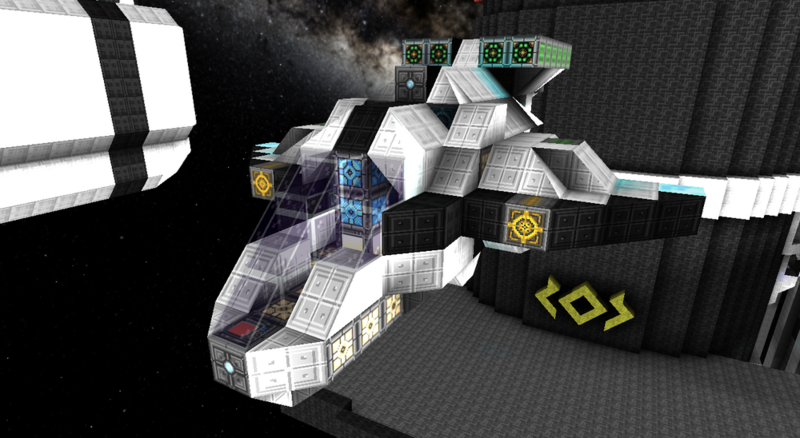 Designed by username HybrydX0, this fighter features a decent shield, fast mobility, and excellent maneuverability. Hermes doesn’t come short on firepower either, as it is equipped with variety of weapons to deal with all types of enemies in general. Although it does not excel on one specific role, this sweet baby is the space’s Jack-of-all-trade fighter – perfect for starters who want to go solo… And yes, it looks ice cool. Created by username AceFace, Mark 5 of the Phantom series (Phantom MKV) is an improved and modified version of its brethren, polished with a good classic space fighter look. This light fighter has a mass of 73.7 and good thrust power allowing it to reach maximum speed in seconds – making it amazingly fast and deadly at the same time. 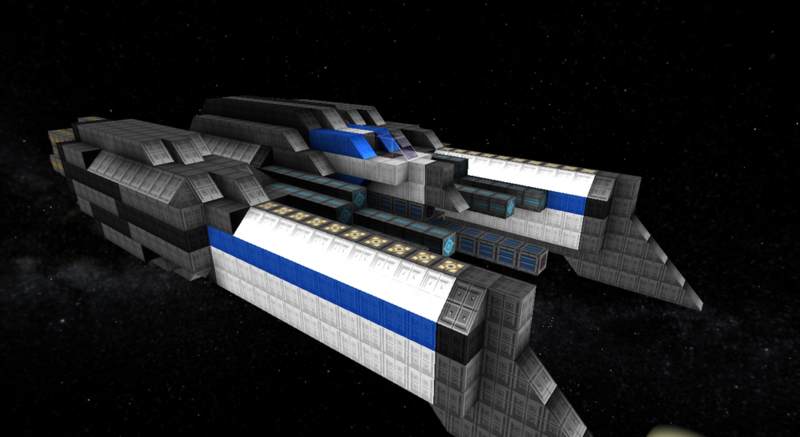 Armed with four Antimatter Cannons and 2 small SD-BB Missile Arrays, this light ship is designed for reconnaissance. Impressively, Phantom MKV has some decent defenses for its size too as the ship is protected with a light shield and has some multi-plated hardened hull surrounding the core giving it the best armor rating in the Phantom series. Overall, Phantom MKV is a great ship with high survivability rate and good over-all capacity. In addition, the ship doesn’t cost too much giving great value to your credits. Do you like role playing? If you do, then you’ll certainly love this. 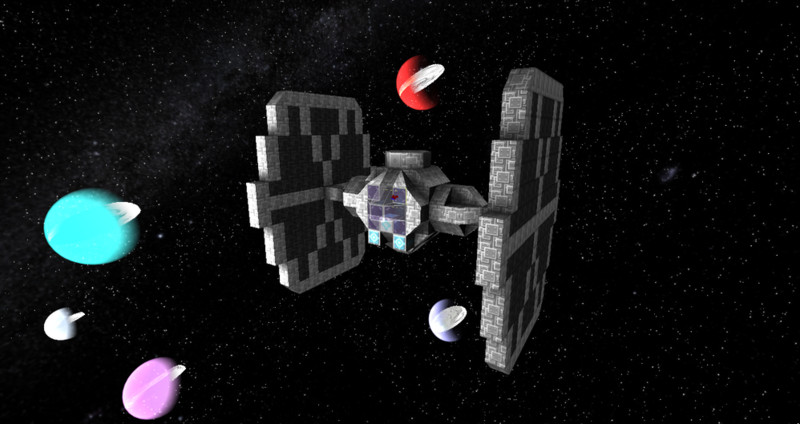 Created by username CapQuacer, TIE Fighters are fictional starfighters in the Star Wars universe. For those wondering TIE is the abbreviation of Twin Ion Engines which propel these aircrafts according to its Star Wars lore. Although it’s a copy of a Star Wars ship and therefore not made and optimized for the game Star Made, this light fighter isn’t something to joke around. Having a mass of merely 49.5, this light fighter is actually bigger than what it was replicated on. CapQuacer also adjusted and converted the ship to have better overall performance inside the game. And although it’s still not as powerful or as durable as most of the ships on this list, this one is indeed the most popular and probably the crowd’s favorite. United Space Dynamics A-1 Barrage 1.0 (phew) is an offense-type heavy fighter armed with multiple heavy guns and powerful cannons. Created by username Datubaman, this ship is developed to blast away stationary targets and capital ships with its devastating arsenal of weaponry. With a mass of almost 200, this ship is painstakingly sluggish compared to other fighters on the list. But what it lacks in speed and maneuverability, it makes up it for in superior firepower as it is armed with six 20-block arrays, four 20-block SD-BB, and one massive 73-block db1000 array that can pulverize enemies in seconds at a decently long range. It is also designed to carry two customized MK1 Bombs making it a force to reckon with. Barrage is a perhaps the perfect DPS ship to any fighter fleet – just sit back and let the guns do the talking. Another entry by Datubaman, the United Space Dynamics F-1 Apex 1.0 is a light fighter built for fast combats and dog fights. The F-1 Apex is specifically designed to combat space pirates but has been proven to do well in PVPs and fleet fights. The F-1 Apex 1.0 features four 16-block AMC arrays and four 18-block SK-BB arrays that runs fully equipped with a Bobby-AI module for combat automation. It has a mass of 71.4 with high thrusting power allowing for combat flexibility and fluid maneuverability. The ship also features light shields that is able to absorb decent damage. Overall, this excellent ship makes a great front line fighter especially when launched in numbers. F-1 Apex 1.0 is great for experienced pilots especially those that like fleet versus fleet combat. 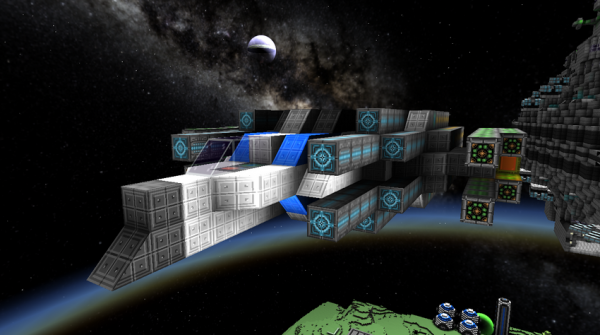 Want Your Own StarMade Fighter? Want to fly into space and conquer the galaxy? Host your own StarMade server and build devastating ships with your friends from across the globe. 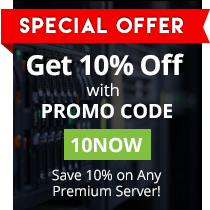 EnviousHost offers top-of-the-line services for hosting your Minecraft and StarMade servers. Get your servers lag-free and enjoy the companionship of all your friends from around the world.